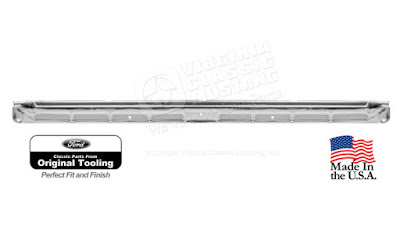 We offer several versions of the Mustang door step plates (sometimes called door sill plates). Our favorite version is the USA made ones that are made in the original Ford Tooling. They are much more durable than the imported reproductions. More importantly, they fit so much better! Take a look at the pictures below. 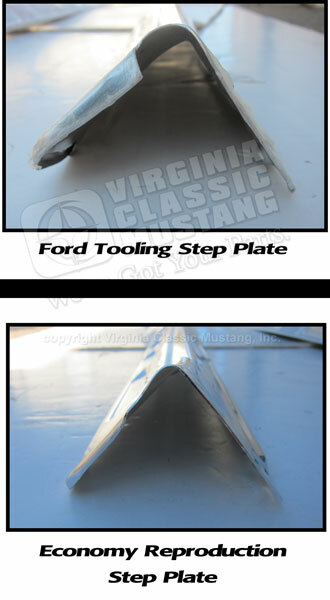 The Ford Tooling Step Plates are formed properly to allow a much better fit for the overlap at the windlace in the rear and kick panel at the front.